Winter on the East Coast this year has been missing one key ingredient. Snow! Unlike last year, where we received a fresh helping almost weekly. This year has failed to produce any measurable snow. If you live in Bergen County Campgaw Mountain in Mahwah NJ offers a tubing experience close to home Everyday of the week. Tubing sessions are 2 hours and range from $18 on weekdays and $24 during holidays and weekends. 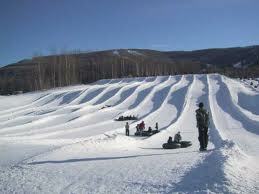 Tickets for the Drop Zone Tubing Park are sold at the Red Tail Lodge Ticket Windows. Tubing is accessed via Shuttle Bus from the Red Tail Lodge Transportation Center. Your session time starts 30 minutes from time of purchase. Bring the family (up to 6 people) out for tubing between the hours of 5pm - 8pm on select Fridays for just $59/ 2 hour session. 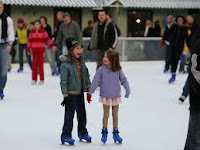 Visit: http://mountaincreek.snowmonsters.com/ for a kids specific site with Games, Information and more.